Is sweet and juicy and it can be eaten fresh or used in jam-making or other recipes. Plum juice can be fermented into plum wine; when distilled, this produces a brandy known in Eastern Europe as Slivovitz, Rakia, Tzuica or Palinka. 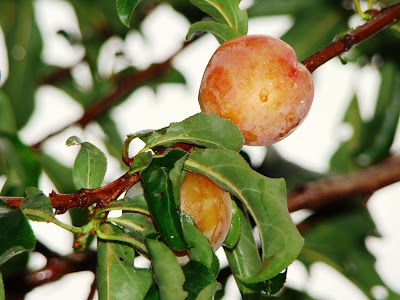 Dried plums are also known simply as prunes, as if 'prune' signified merely a dried plum - however, prunes are a distinct type of plum, and may have predated the fruits that we know more commonly as plums. Prunes are also sweet and juicy and contain several antioxidants. Plums and prunes are known for their laxative effect. This effect has been attributed to various compounds present in the fruits, such as dietary fiber, sorbitol, and isatin. Prunes and prune juice are often used to help regulate the functioning of the digestive system.